Good Friday is a holy festival that is observed by Christians across the globe. It is a day that remembers the last hours of Jesus Christ, his crucifixion and his death. Good Friday - a day of prayers, holds deep reverence among Christians as they observe this day solemnly by fasting and repenting the suffering of Lord Jesus. Good Friday is the day when Lord Jesus was crucified to rise again three days later. The term ‘Good’ basically means Holy or Pious owing to the religious reverence this day holds. The three days from this day are referred to as Easter Triduum and Sunday is celebrated as Easter Sunday worldwide. Good Friday is also known as Black Friday, Great Friday or Holy Friday. Also Read: What Christmas Means? How Do You Determine Good Friday? The day of Good Friday is determined on the basis of Easter Sunday. Good Friday is observed two days prior to Easter Sunday. According to the Gospels, the crucifixion of Jesus coincided with the Jewish Passover and these Gospels also suggest that Jesus was raised from the dead three days after this which is celebrated as Easter. However, Easter is not always celebrated at the time of Jewish Passover. Easter Sunday is observed on the first Sunday after the first full moon after the Vernal Equinox andGood Friday (Indian Holidays) is two days prior to that. These days are usually observed in the month of March-April. According to Gregorian Calendar, Good Friday 2019 will be observed on 19th April 2019 by Christians worldwide. For Christians, the day of Good Friday is a day of mourning as it commemorates the crucifixion and death of Jesus Christ. Several Churches, across the world, hold services and processions, to make the common masses aware of the relevance of Good Friday Holiday and educate them about what happened on Good Friday. Priests on this day only wear black vestments and repent the death of Lord Jesus. Meditative services are also held in some Churches. Fasting is an integral aspect of this day. Lots of Christians observe fast on this day. The question of what to eat on Good Friday is a little ambiguous as somewhere people refrain from eating meat, but, in some parts, eating Fish on this day is a tradition as it is considered a different kind of meat. Preparation of a Good Friday meal begins days before the festival. Huge parades and prayer meetings are held on this day. 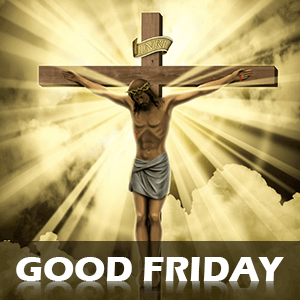 Good Friday Holiday is a national holiday in several countries given the religious importance this day holds. Every country observes this day with their own unique traditions. In Spain, people who are repentant of their wrong-doings, wear really long robes with hoods, carry a wooden log and walk across the streets on this day, In the majority of Anglican Churches, all the decorations and flowers are removed on this day. In the UK, an individual or a group of people carry a wooden cross around the streets to the Church before the Good Friday Services. Bible reading is another important tradition followed on this day. Good Friday is a highly significant festival for Christians and they observe it with much reverence and with utmost devotion.